C.da Colonna, 98070 Reitano (ME) ITALY. Via Agrigento, 7 90141 Palermo ITALY. 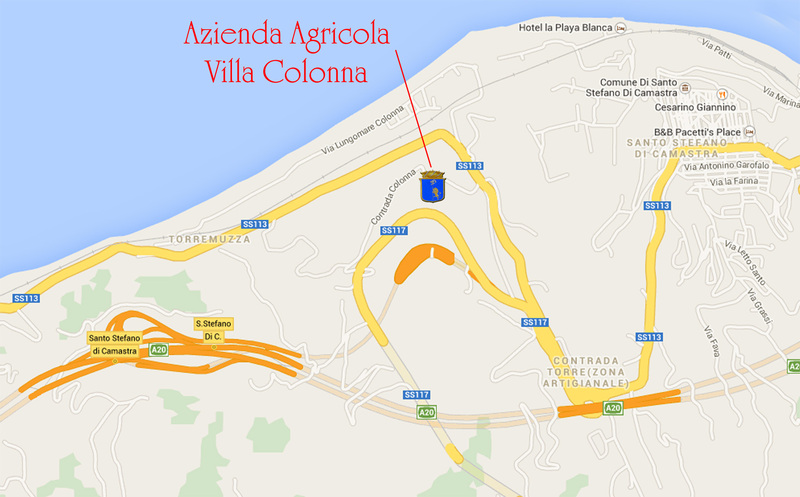 Villa Colonna is easily reachable by A20 Palermo - Messina motorway, S. Stefano di Camastra exit. When arrived on the SS113 main road, proceed to Palermo for about a kilometer; there the side street to Colonna district will be found on the left hand side.